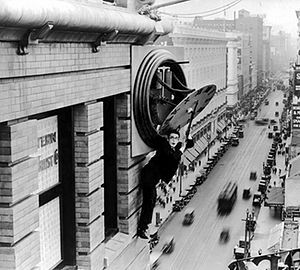 Safety Last is perhaps the best known piece of work by silent film comedian Harold Lloyd, and it seems that it is remembered for just one scene. I’m always very weary when it comes to watching silent comedies. I’m not a great fan of run of the mill slapstick where it is just gag after gag and pratfall after pratfall. Don’t get me wrong as I love Charlie Chaplin and his silent films, although these are the exceptions to the general rule of silent comedies. 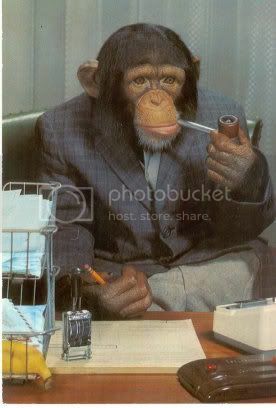 On the other hand I am not a great fan of Buster Keaton and feel that his films re quite dreary. Unlike with Chaplin you cannot empathise with Buster because of his ‘stone-face’ persona. No matter what chaos befalls him Buster remains stoic and stony-faced, not allowing the viewer the opportunity to become emotionally involved. Whilst Lloyd is nowhere near the genius of Chaplin, I do prefer him, based on this film, to Keaton. Everyone can identify with his All-American character who is down on his luck and attempts a crazy stunt to make some much-needed money. There are some surprisingly funny moments that made me laugh out loud, whilst the climax of the movie, where Harold climbs the building and finds himself clinging precariously to the hands of a clock, is rightly one of the most iconic in film history, and served as a great inspiration for Jackie Chan.